On Saturday the 94th Giro d'Italia begins. The majestic race with long traditions and the characteristic, if not legendary, maglia rosa, will bring riders across 17 Italian regions. This year's race is considered the hardest race in many years, maybe ever. Riders are nervous, some even scared. Everything is primed to be an experience for life, for everyone involved, from riders, fans and spectators to organisers. Photo downloaded from RCS official homepage, here. PDR: Michele Acquarone, you are the Managing Director at RCS, how long have you been working in RCS and what made you move into the RCS in the first place? MA: I have been working for the RCS MediaGroup for over 10 years. For the first 8 years of my career I was in charge of marketing for the “la Gazzetta dello Sport” and thus until September 2008 when I was entrusted with the management of RCS Sport. If I wished to take stock of the last two and a half years, I would say that the 3 most rewarding opportunities have been: 1. the chance to work in the sport business, a very different market compared to the traditional media. 2. the international approach, after many years at the Gazzetta I felt the need to go beyond the Italian boundary. 3. the chase for leadership, the Gazzetta is the unquestioned leader [media-wise] in Italy, while the RCS Sport products’ portfolio offers large margins of growth and the challenge [working there] is very exciting. PDR: In addition to hosting cycling events, the RCS also organize different sports, but I guess since you're from Sanremo cycling is dear to you? What do you like best by working at the RCS? MA: I am a great sport’s fan. Watching a match with Messi and Ronaldo or observing children playing in a courtyard gives me the same thrilling emotion. Tennis and football have always been my favorites. Tyson made me discover boxing, Tomba did the same with skiing and I am a basketball fan thanks to Jordan. Some years ago I began to enjoy the sense of effort brought by the running world. As far as cycling is concerned, I have a very special relationship with this sport. I was born in Sanremo in 1971. My oldest memory brings me back to a Merckx victory, I was a very young boy at that time and I remember how much I enjoyed my hometown stopping all activities for a full day, the tribunes being set up in the Via Roma, the helicopters flying around and thousands of people struggling for hours in order not to loose their first row place. I was a little boy and everything seemed so big to me. That was real fun. Today I truly appreciate to be part of that world which became more and more global in the course of the years. PDR: Nothing like working with the things one love, right? The RCS organize many sport events in many genres (cycling, basketball, running etc). You also organize cycling races like the Milan-Sanremo, Strade Bianche, Lombardia to mention a few, nowadays I guess the focus is towards the Giro. When did you start planning towards the Giro? MA: As you certainly know, the prize for the brave rider who wins the Giro is the “Trofeo Senza Fine” (the never-ending trophy). Well, planning and organising the Giro is [also] a never-ending task: as the 94th Giro d’Italia Grand Opening will take place in a few days from Turin, we are already preparing in detail the 2012 edition that will start from Denmark, the most northern spot a major stage race has ever started from. At the same time we are considering the candidates for La Grande Partenza and l’Apoteosi Finale for the coming years 2013, 2014, 2015 and 2016. As far as the drawing up of the route is concerned, Zomegnan and his working team are doing their best to proceed one year in advance. At the end of the 2011 Giro during the summer, we shall put the final touch to all details regarding the 2012 Giro in order to be fully ready for the presentation due to take place on October 22nd. This regards the technical and organization part. As far as marketing is concerned our action takes place also when the event is closer at hand. Actually some ideas have been finalized only last week. PDR: The last week you say? Well, I guess many details need attention right to the start of the Giro. France has the Tour, Italy has the Giro. For readers not originating from Italiy, can you explain how big is the Giro in Italy and what it mean to people living here? MA: The Giro is the most popular event in Italy by far in terms of on-site attendance. The route will be 3500 km long, as we will cross 17 regions out of 20, over 60 provinces out of 110 and more than 550 cities and villages. In every place the race starts from, arrives or rides across people lining up along the roads to acclaim both international champions and local young riders. All through the Giro d’Italia on-site spectators will be more than 10 million. Could you imagine how many sports grounds will be necessary to hold all those people in? The history of the Giro d’Italia is more than 100 years old. People is waiting for the event which is experienced as a national heritage. For the Italian people the Giro announces the opening of the summer season and the beginning of a wonderful holidays period as school time is finishing and beaches are getting more and more crowded. It is not fortuitous that for 15 years now Estathè is the sponsor of the Maglia Rosa. The Giro is also a global event. Just to give you a hint, our potential TV audience (home reach) for the next Giro is 350 million people in 167 Countries all over the World. PDR: That is an incredible amount of spectators, I'll give you that! 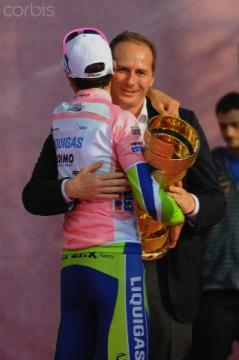 Zomegnan is responsible for organizing the Giro, and that is a mighty task with many different aspects to consider. On what basis did he choose the route? MA: Our goal is to make “the Toughest Race in World’s Most Beautiful Place” and Angelo Zomegnan is the very creator of each edition of the Giro. His experience in designing the race route is like the inspired trait of a modern Michelangelo sketching a new masterpiece. 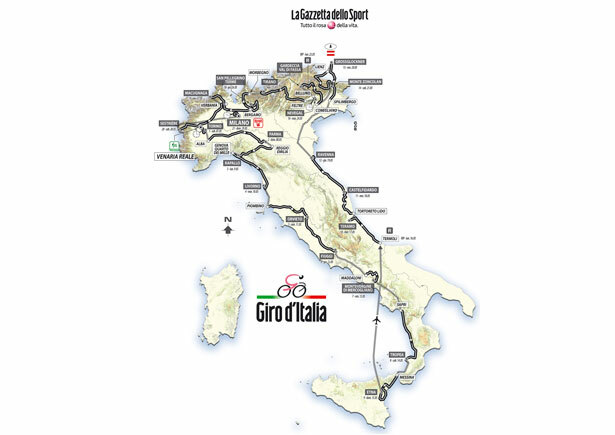 As I have already mentioned, planning the Giro is a non-stop activity and Angelo knows exactly the perfect balance between tough climbs and speed stages, long rides across beautiful Italian landscapes and spectacular arrivals in the largest cities. Besides that experience, very often we give to the Giro a main trait. In 2011, for instance, the Giro d’Italia has been appointed “official celebration of the 150th Anniversary of the national unification” and the route has been designed accordingly to touch a number of places that hold a significant historical heritage. PDR: He managed to get the climbing stages alright, I hear riders are afraid of them.. From my perspective, the Giro has been gaining on the Tour this recent years when it comes to followers and reputation, both among fans as well as riders. As well as growing, you have also been earning money. How have you planned this strategically? MA: I fully agree. In my opinion a success story has to be built, year after year, having clearly in mind a strategic vision of what has to be done. The Giro d’Italia presents all the required characteristics in order to feature a big event with a worldwide appeal and it is our duty to make the most out of this opportunity. Old cycling tradition. Great enthusiasm. Important tourist accommodation facilities. A morphologically speaking perfect landscape for the construction of a successful stage race: the Alps, the Dolomites, the Apennines, the volcanoes. A territory which runs from sea level to an altitude of 2,000 meters. Our small and big cities are true masterpieces able to artistically emphasize the passage of a cycling race. Let’s only mention Rome, Florence, Venice, true paradises on earth. Think Global: our reference territory is the “world”; Think Video: sport has a strong emotional content, sport means passion and the video is the best way to convey passion and whatever we are doing has to be fascinating on the screen; Think Brand: there are not anymore “events”, the event has to be changed into a brand able to extend its life all year-round by using the most available platforms; Think Customer: the customer is always our central thought and our success is the result of the highest degree of satisfaction reached by each customer. The customer is whoever feeds our brands, through his enthusiasm, his time, his investments (racers’ chasers, sponsors, media, agencies and all the right holders who entrust our group with their products); Think Community: there are everyday fewer barriers between producer and consumer and this is particularly true in the sport world where passion is an important factor and the consumers are striving for involvement. The community is our most valuable possession and if we wish our brands to be successful we have to take care that each and every our move is “shared”. Thanks to the web the communication with the community is nowadays global and immediate and such a wonderful opportunity has to be taken advantage of. Business aspects of the Giro d’Italia are key of course, both for RCS Sport and for the local communities that host the race. The total earnings of satellite industries of the Giro is € 500 million. ROI [Return on investment] for hosting cities and towns stretches between 3.65% and 10.25%. Last year’s Grande Partenza in Amsterdam and the Netherlands (3 stages) accounted for € 7.4 million to the local community, with 49% of the amount coming from the hospitality industry, 27% from daily visitors and 24% from partners. Plus depending on the entrepreneurial capabilities of each local government, we reckoned that the Giro d’Italia leaves behind the so called “legacy” of the event which consists in medium and long term returns for local communities that get in touch with the race. PDR: Recently there have been many Italian cyclists, including Visconti, under investigation by Benedetto Roberti and the police for allegedly having a link to Dr Ferrari. How, if any, will this affect the Giro? MA: The Giro has been through much worse crisis. Currently cycling is the most monitored sport in the world and during the Giro d’Italia the tests are growing in an exponential way. 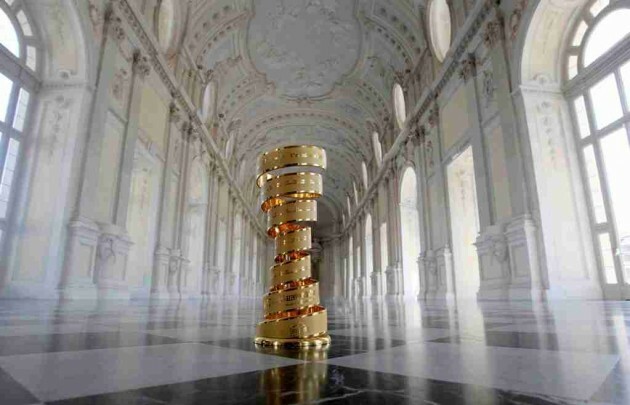 More than 200 competitors registered to the Giro are coming from all over the world and both athletes and teams are perfectly aware of the rules of the game. He who cheats pays the fee. At this point teams and athletes are conscious that the risk of damaging their good name is too serious for daring incidents. It is my opinion that sanctions are still too soft and I am not swearing when pronouncing the word radiation in the heavy doping cases. If you cheat you are out. Forever. PDR: Well that is a view I can relate to! What will, in your opinion, make the Giro a success? MA: It is the ability of the Giro to be so close to the people that builds up its success every year. Everybody can feel part of the sport event, part of the entertainment, everybody can enjoy the natural beauty and historical heritage of our Country, either on the road or through the TV. Moreover, thanks to the amazing communications opportunities of the social media, cycling fans can now let their voice be heard, can provide opinions and share ideas with a community of 50,000 followers of the Giro d’Italia in 5 continents. I wish to thank Michele Acquarone so much for his time, I really appreciate him taking the time to answer my questions right before the Giro starts. 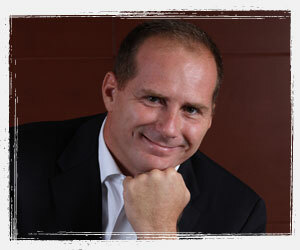 Michele Acquarone twitter profile you'll find here to follow him. RCS Sport you'll find here.